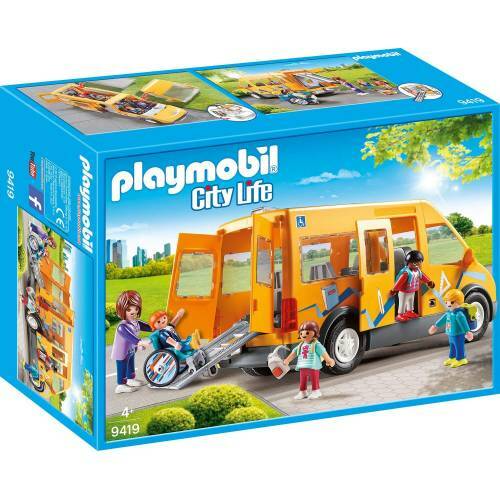 The Playmobil 9419 City Life School Van will make sure to get you to school on time and in comfort. 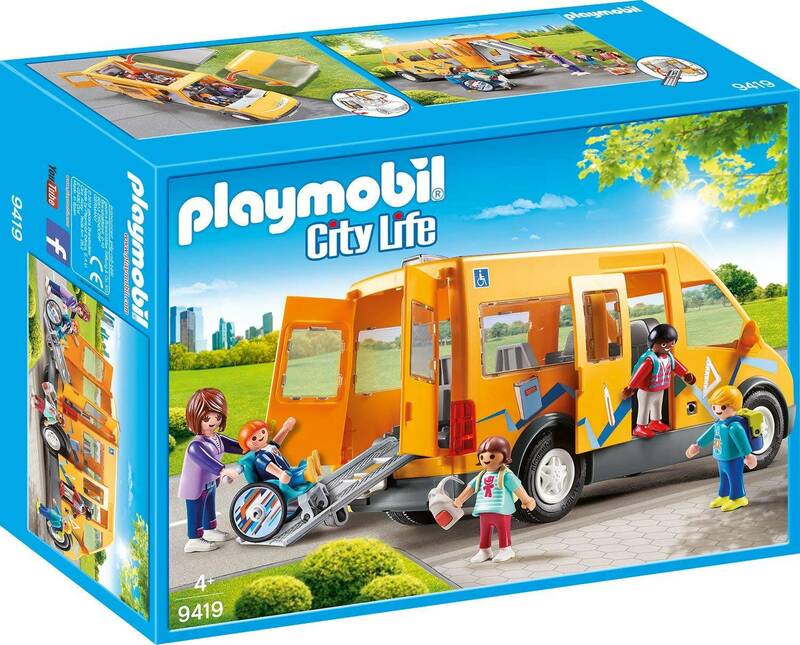 The vehicle features a removable roof and windshield for easy access to the interior, as well as sliding side doors and opening rear doors. 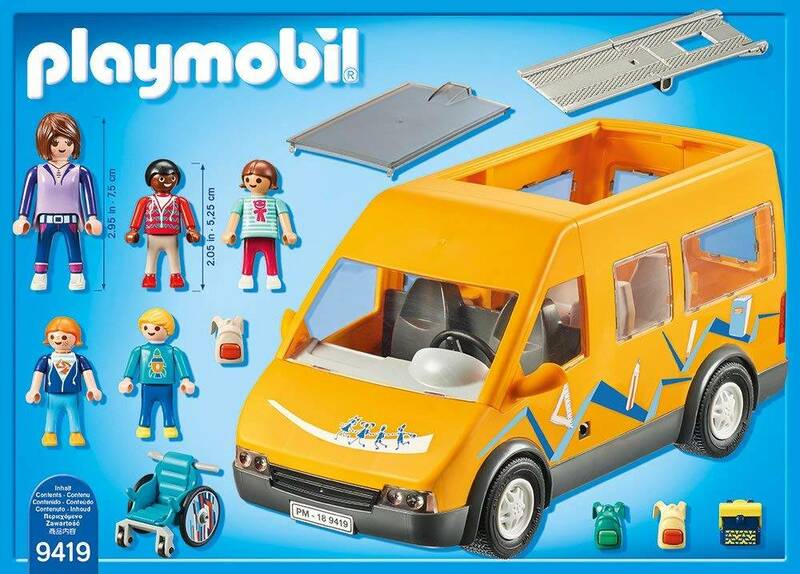 For wheelchair access, the van features a fold-out ramp at the rear of the vehicle. 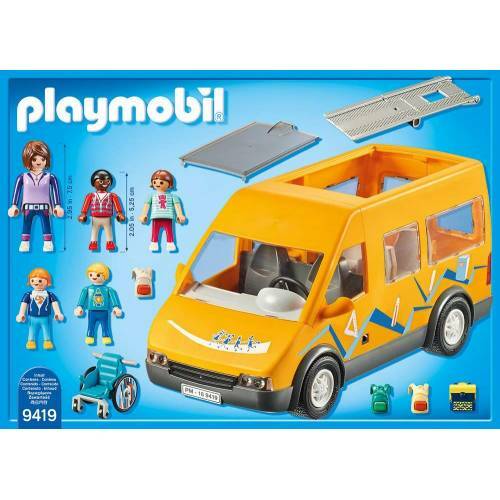 The school van can fit up to 5 Playmobil figures, including the driver.